Each new year brings a surge of people to apps like MyFitnessPal as they stare down the barrel of another unhappy one with those excess pounds, so the company has responded with an iOS update to help get you on your way. 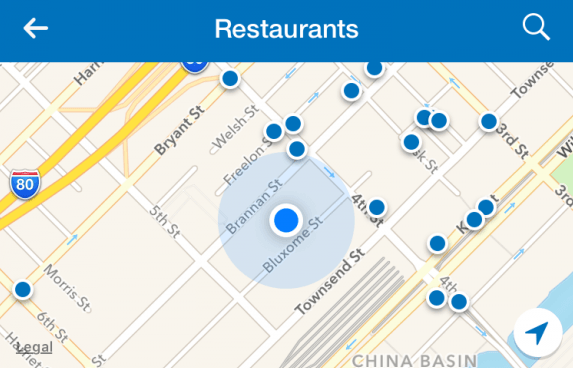 MyFitnessPal has worked with Foursquare, as well as crowdsourcing data from its members, in order to create a calorie map for 500,000 (and growing) restaurants nationwide. Recognizing that we all love to eat out, even if we’re dieting, users can now make choices about where to eat locally based on their goals for the day, log items they eat from a dropdown or via a search, and nudge the company to add new meals. Any restaurant can in theory appear here, whether it’s a Starbucks outlet or a family-run diner. There’s also a new location logging pin next to the search bar so you can add places that aren’t already on the map. Obviously the coverage depends on whether the data that MyFitnessPal users and Foursquare provide is comprehensive, but it sure beats taking a stab in the dark when trying to find somewhere healthy to eat out. NTW has got in touch with MyFitnessPal to find out when this feature will arrive on Android and when it will launch in the rest of the world.